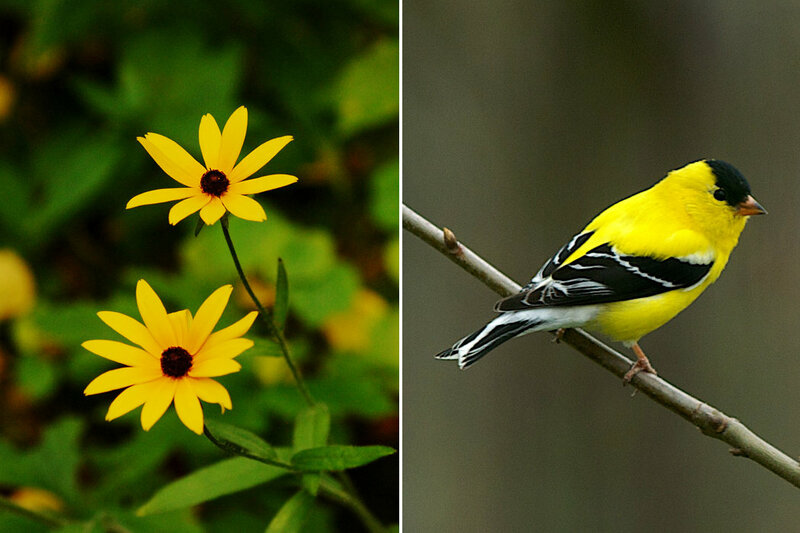 The Rudbeckia species (like the black-eyed Susan) produce seeds that help sustain goldfinches during the winter. 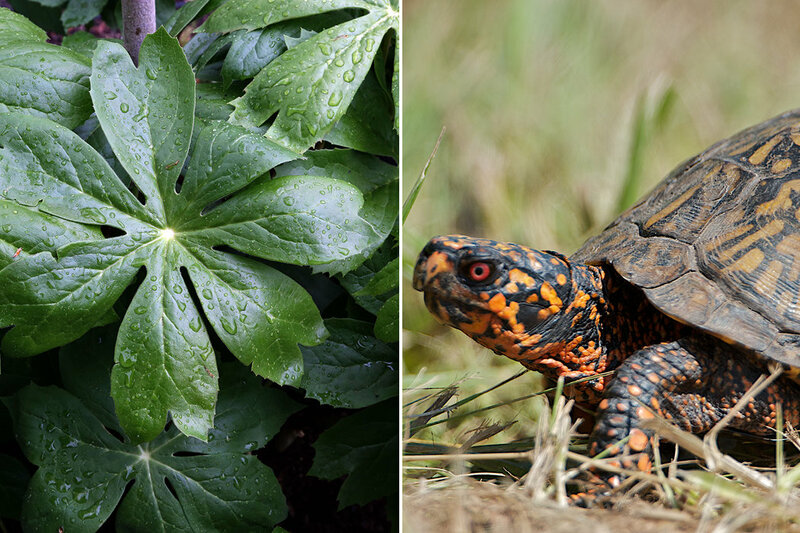 Mayapples produce fleshy fruit whose seeds germinate with help from box turtles. 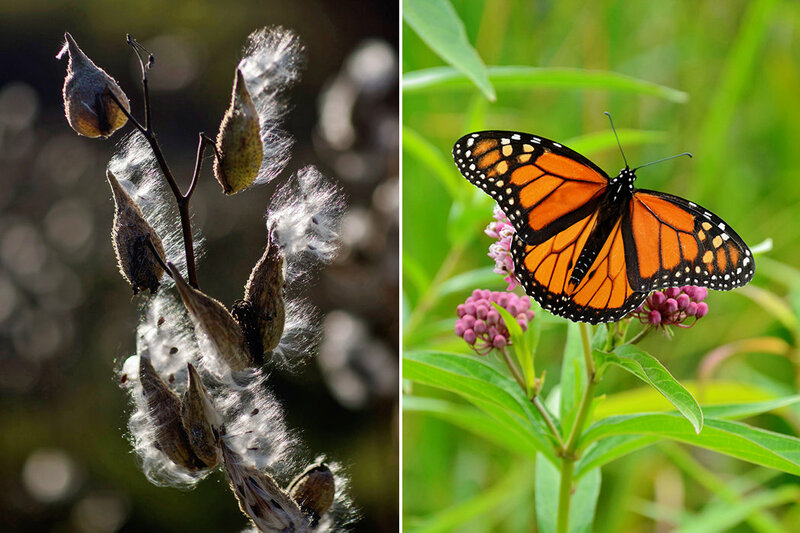 Monarch butterflies are disappearing because we have destroyed so many of the milkweed plants they depend on. 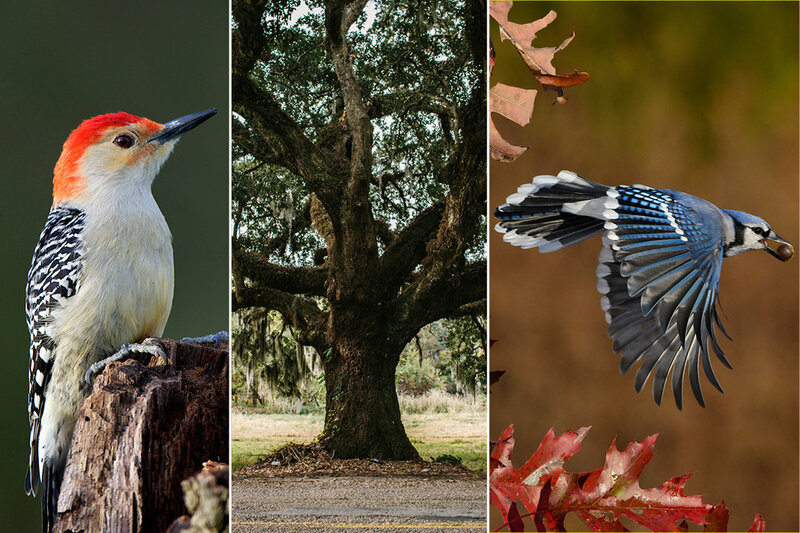 Oaks produce copious amounts of acorns that support many birds through the winter months. This is particularly true for red-bellied woodpeckers and blue jays. 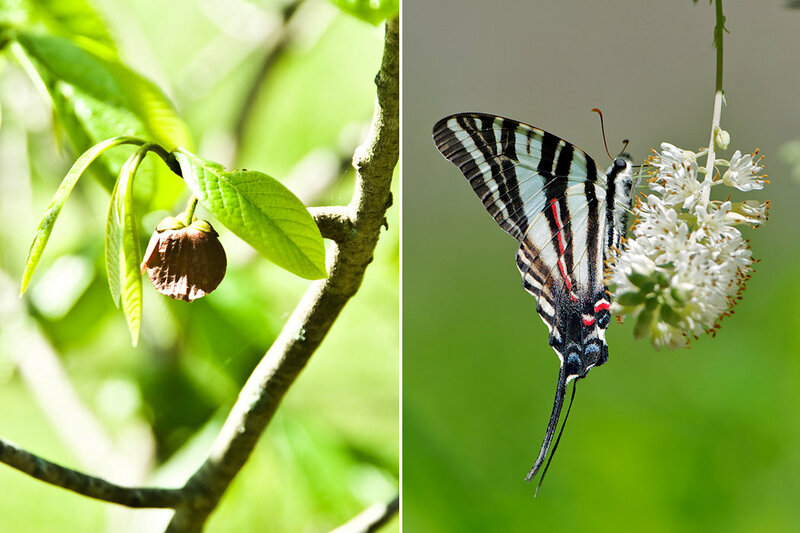 The larvae of these black-and-white-striped butterflies develop on pawpaw plants. 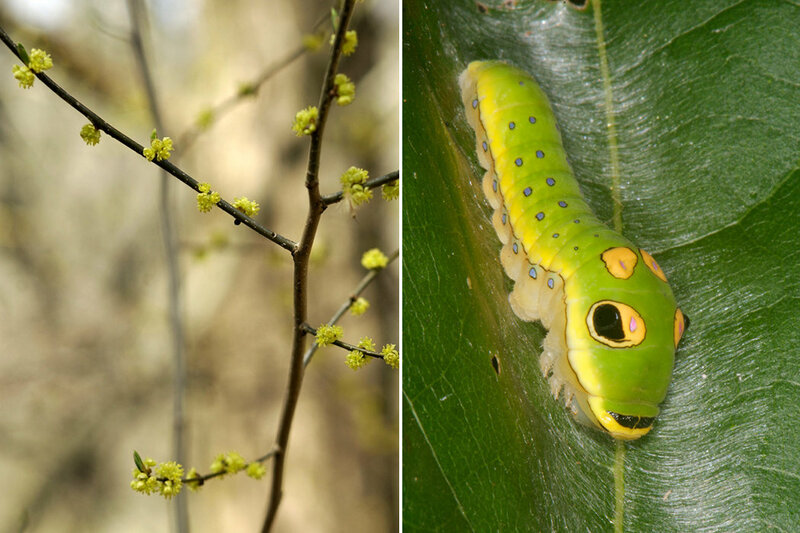 The larvae of these butterflies hide from predators by mimicking tree snakes and curling up within the spicebush’s leaves. 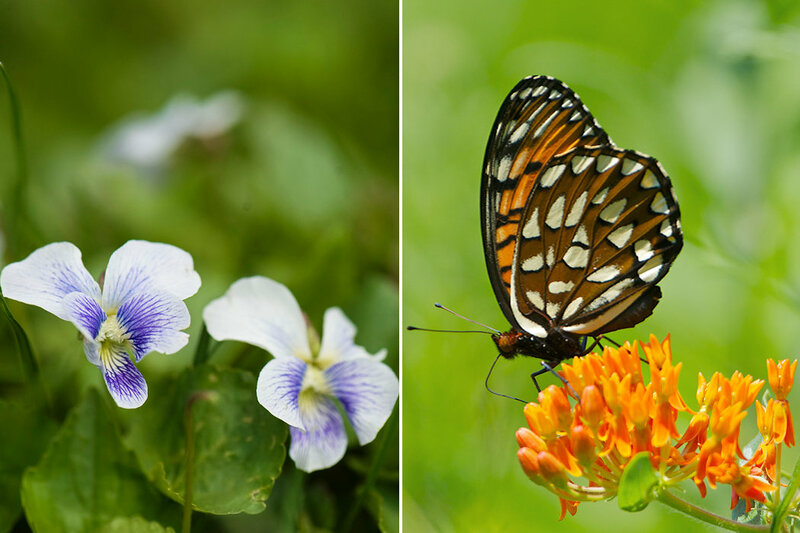 The larvae of these butterflies, whose numbers are declining, survive exclusively on violets in the United States. 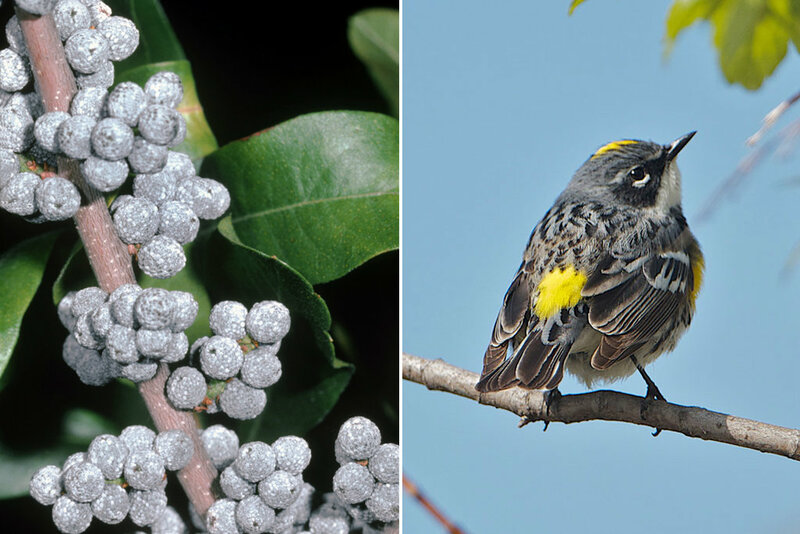 Bayberry plants make waxy fruits that sustain these birds all winter. A version of this op-ed appears in print on March 11, 2015, on page A25 of the New York edition with the headline: The Chickadee’s Guide to Gardening.